The two don't go together, but how can we protect both crops and pollinators? "Pesticides may be necessary in today's cropping systems but large monocultures have resulted in the need for significant use of insecticides, herbicides and fungicides," says honey bee expert Maryann Frazier, senior extension associate, Penn State University. "New chemistries, such as neonicitinoids, have their advantages but the persistent use of synthetic pesticides, especially in bee-pollinated crops and/or crops visited by bees to collect nectar or pollen, such as corn, has resulted in significant pesticide exposure to bees." Frazier, fresh from a trip to Kenya to help beekeepers with varroa mite problems, will be on the University of California, Davis, campus on Wednesday, April 2 to discuss "The Pesticide Conundrum: Protecting Crops and Pollinators." Her seminar, hosted by the UC Davis Department of Entomology and Nematology, will be from 12:10 to 1 p.m., in 122 Briggs Hall. "Over the past seven years our lab has analyzed over 1,200 samples of mainly pollen, wax, bees and flowers for 171 pesticides and metabolites," she said. "We have found 129 different compounds in nearly all chemical classes, including organophosphates, pyrethroids, carbamates, neonicotinoids, chlorinated cyclodienes, organochlorines, insect growth regulators, fungicides, herbicides, synergists, and formamidines. Further, we have identified up to 31 different pesticides in a single pollen sample, and 39 in a single wax sample. An average of 6.7 chemicals are found in pollen samples. However, the pesticides found most often and at the highest levels are miticides used by beekeepers for the control of varroa mites." In her talk, Frazier will discuss these results, additional studies and concerns about "the synergistic effects of pesticides, systemic pesticides and sub-lethal impacts, including those on immune function, memory and learning and longevity, as well as the question of toxicity associated with adjuvants/inert ingredients." Helping to coordinate the seminar with assistant professor Brian Johnson is Mea McNeil of San Anselmo, master beekeeper and writer. Frazier, senior extension associate at Penn State for the past 25 years, is responsible for honey bee extension throughout Pennsylvania and cooperatively across the Mid-Atlantic region. Frazier works with other members of the PSU Department of Entomology to understand how pesticides are impacting honey bees and other pollinators. 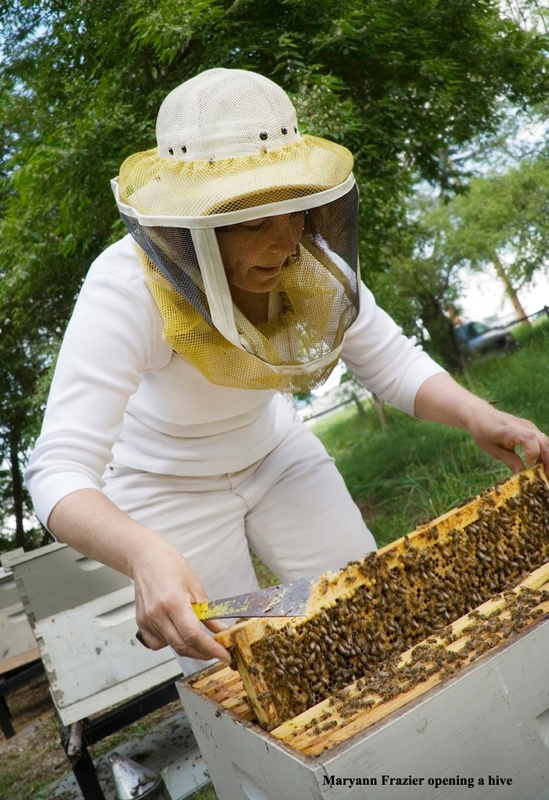 She's taught courses in beekeeping, general entomology and teacher education and is involved with the department's innovative public outreach program. 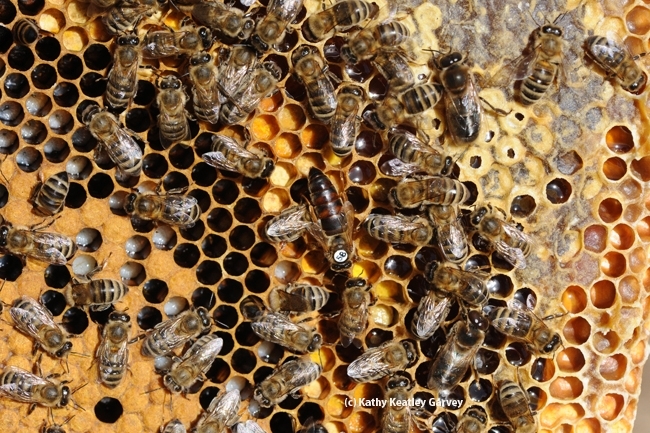 In addition, she works with a team of U.S. and Kenyan researchers to understand the impacts of newly introduced varroa mites on East African honey bee subspecies and to help Kenyan beekeepers become more productive. Frazier holds two degrees from Penn State: a bachelor of science degree in agriculture education (1980) and a masters of agriculture in entomology (1983), specializing in apiculture. She is a former assistant state apiary inspector in Maryland and also has worked as a beekeeping specialist in Sudan and later in Central America. Frazier appears in a YouTube video, posted July 23, 2012 on the declining bee population. 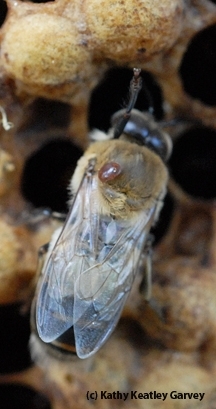 The brief clip was excerpted from Frazier's Spring 2012 Research Unplugged talk titled "Disappearing Bees: An Update on the Search for Prime Suspects." The abstract: She discusses the decline of pollinators and the prime suspects behind it. Some of these suspects include the use of pesticides, on both small and large scales, that destroy food sources for bees; agribusiness practices such as monocropping, in which the same single crop is planted year after year, eliminating the plant diversity pollinators need; stress caused by transporting the bees across country for commercial pollination needs; and threats such as nosema disease, viruses and mites. The UC Davis Department of Entomology and Nematology plans to video-record her seminar for later posting on UCTV.